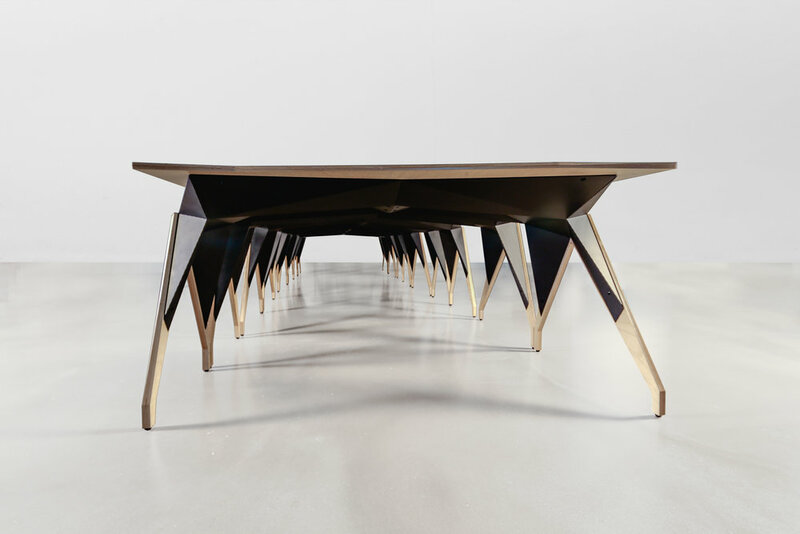 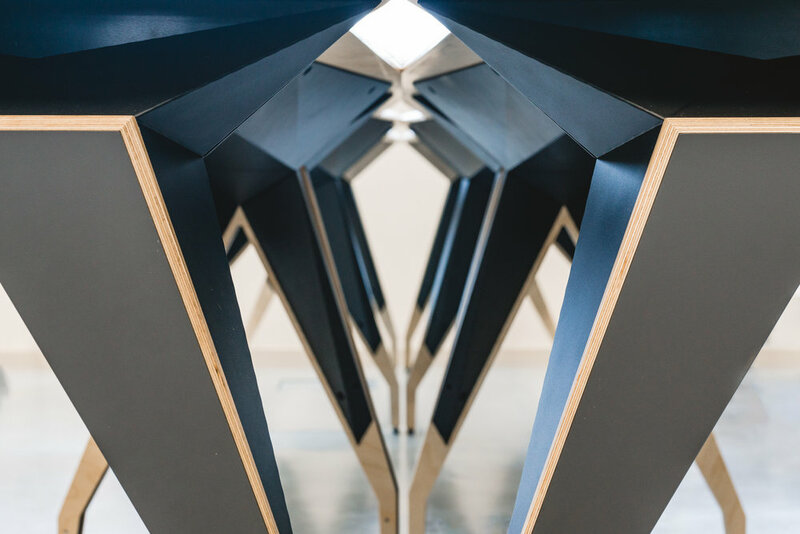 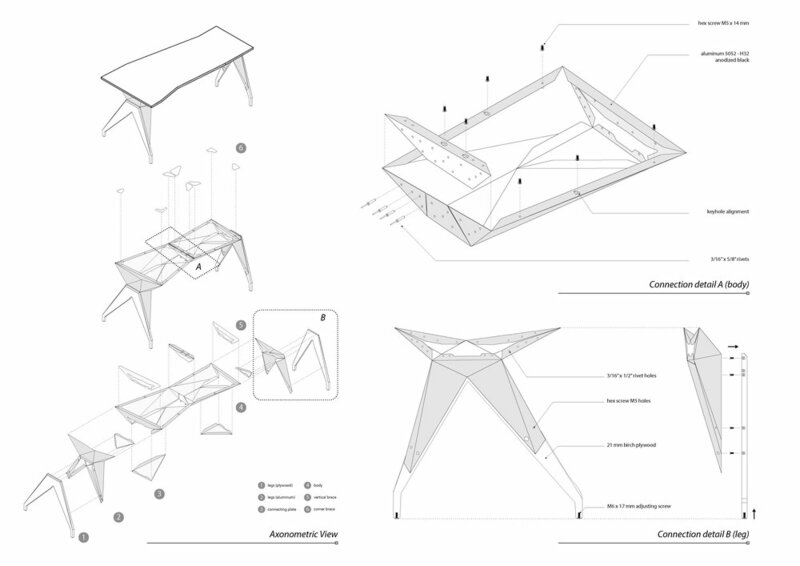 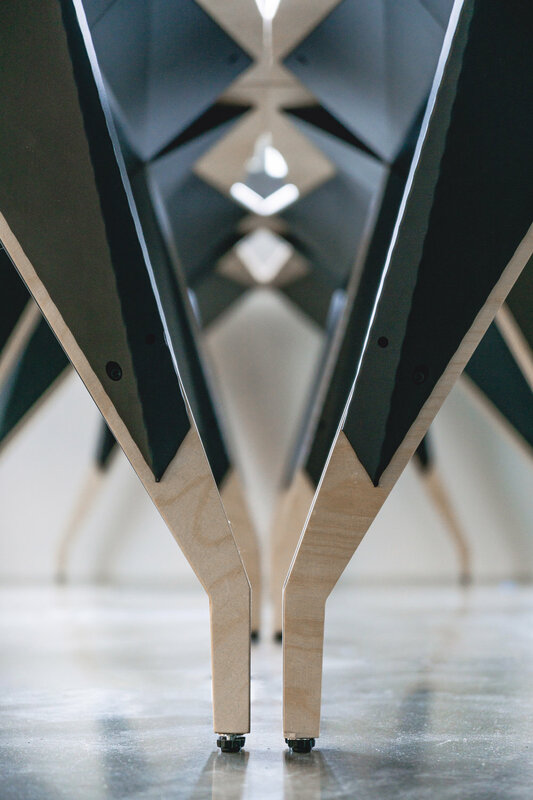 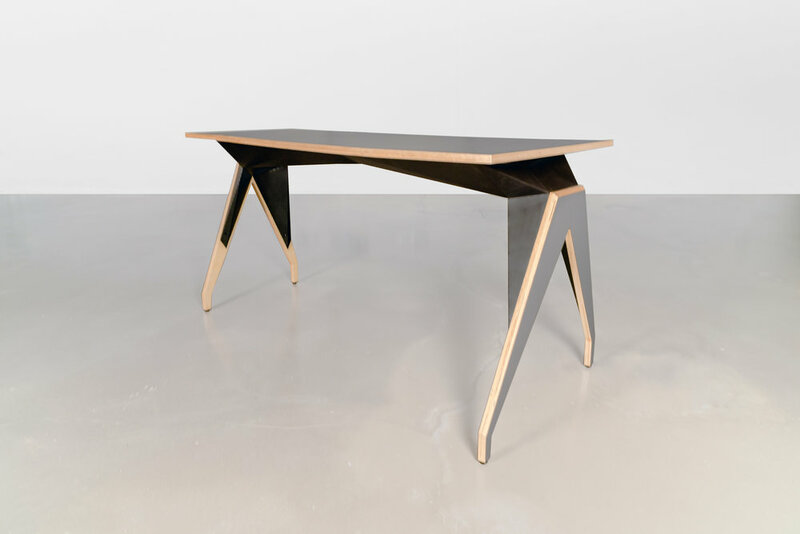 Through a faceted, distinctive geometry, the design of the Instability Desk synthesizes ergonomics, sustainability, comfort and efficiency. 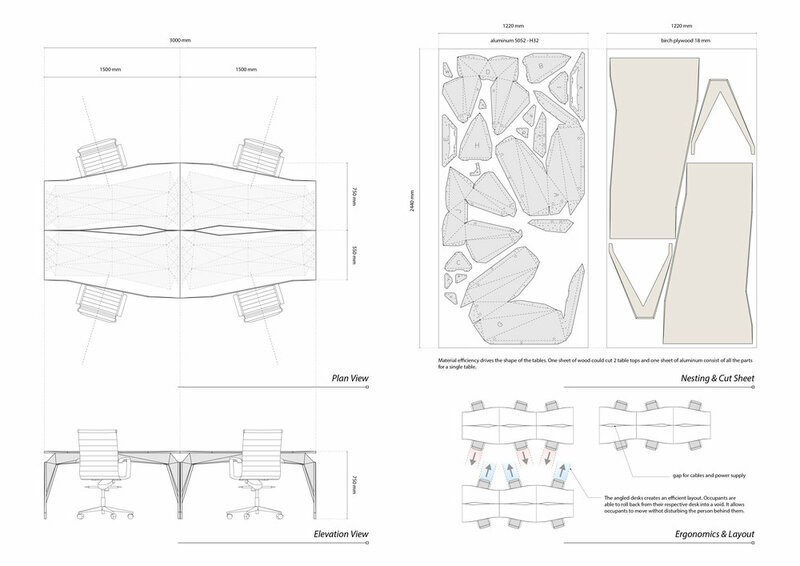 Chamfered, comfortable edges yield to users’ resting arms while an asymmetrical slant allows adjacent workstations more space. 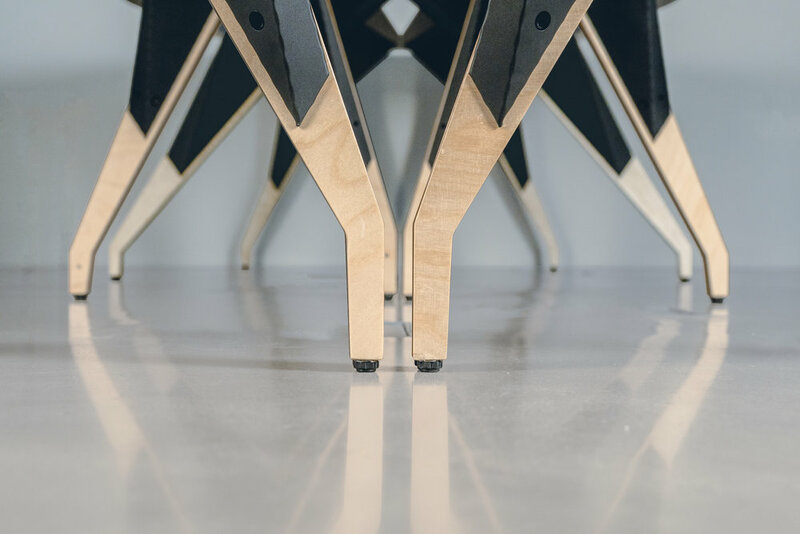 Simple decisions and simple materials yield a more refined product.